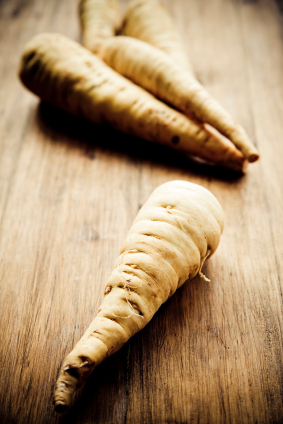 What is a parsnip? It looks like a thick, white carrot. They taste like one too – like a carrot, just a bit sweeter. With a slightly bitter bite, their flavor lies somewhere between a carrot and a turnip. Once you peel the tough skin, and cut into them, you’ll notice they are slightly softer than carrots, which means they cook a little faster as well. 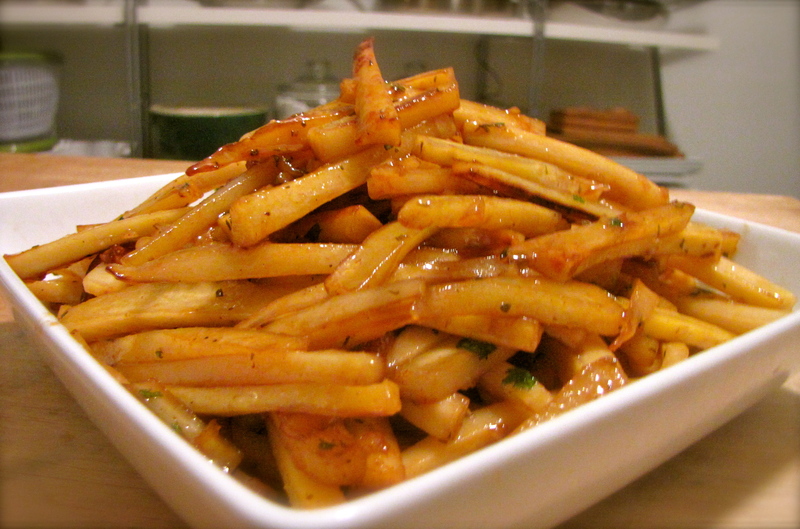 Wikipedia describes parsnips as tasting of butter, honey and cardamom. That would explain then why this dish is so satisfying. 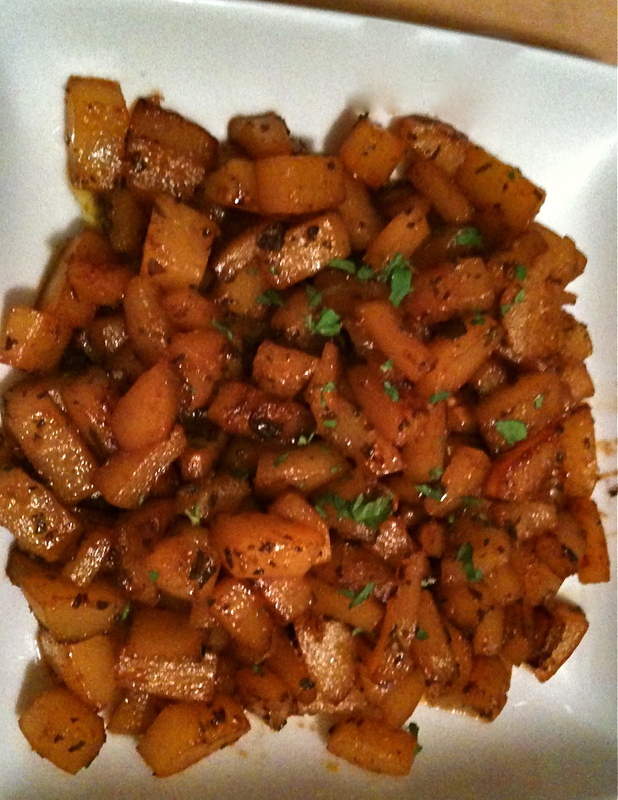 Parsnips are sautéed, seasoned with cardamom and nutmeg, then braised in cider with honey and butter. A finish of floral white pepper and bright sherry vinegar preserves the fresh, carroty bite of the parsnips amidst the sweet, honey-cider glaze. In autumn meals weighed down with heavy starches and rich meats, these sweet, bright, tangy parsnips provide a welcome break for a beleaguered palette. Add olive oil to a pan warmed over medium heat. Add parsnips and cook for 3 minutes. Reduce heat to medium low, add garlic, rosemary and spices. Cook 2-3 minutes until the herbs and garlic are fragrant. Add cider, honey and butter. Raise heat to medium-high and cook 5-7 minutes until liquid reduces to a glaze. Season to taste with salt, white pepper and a splash of sherry vinegar. There is a romance to the change of seasons that occurs in fall. The first crisp nights, brightly colored leaves crunching under foot, pumpkins, Indian corn and potted mums. Summer tomatoes and zucchini give way to butternut squash, creamy, white cauliflower, and rich beets. But for all of autumn’s dependable traditions, perhaps the most reliable is the appearance of the ubiquitous ginger carrot soup on restaurant menus across America. I’m not saying it is a bad thing, but aren’t you just a little bored? That’s why I opened the spice cupboard. Inspired by Moroccan flavors, I pulled star anise, whole cloves, cardamom, and yes, ginger, off the shelf. Rich butter, refined leeks, and a sweet vegetable stock enhanced with parsnips finished the dish perfectly. 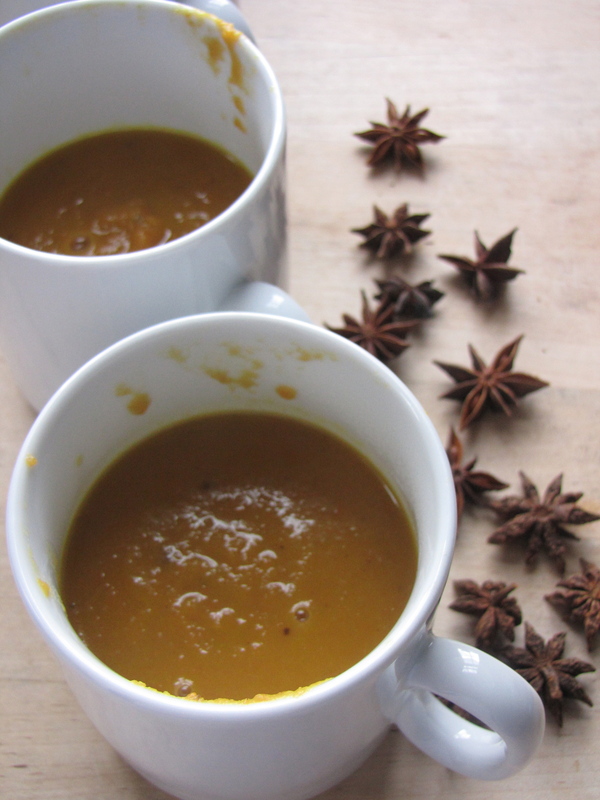 Don’t forget to pull the star anise and cloves before puréeing the soup. Otherwise you end up with a bunch of nasty, crunchy bits throughout your soup. Or, my husband Jason bites down on a whole star anise. Which has definitely, absolutely never happened before. • Add carrot, sauté 3-5 minutes to soften. • Add spices and cook 1-2 minutes until fragrant. • Add thyme and stock. Cook 20 minutes to develop flavors. • Purée soup and return to pot. • Add honey and season to taste with salt, white pepper and lemon juice. Rich, farm-fresh butter. Whole, local milk. Fresh eggs and pumpkin. Real maple syrup. 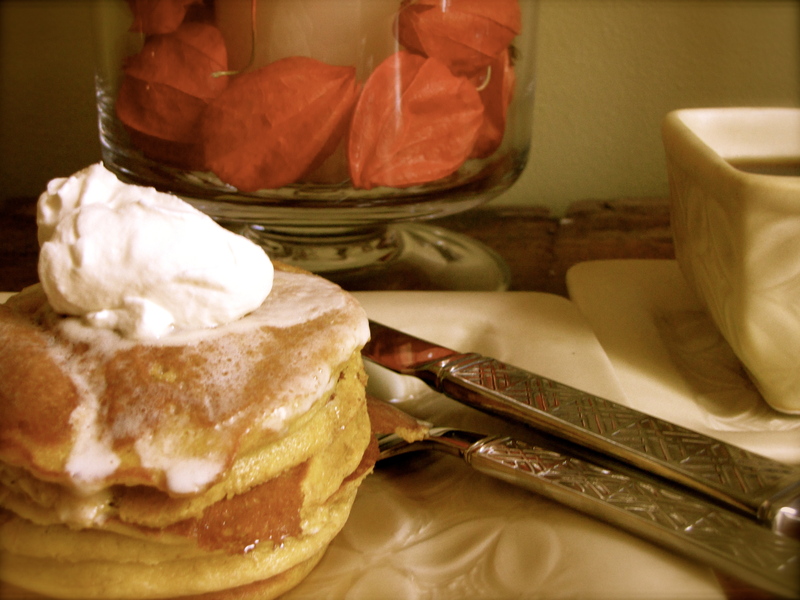 While working on these pumpkin pancakes last week, I read through many recipes. I read through hundreds of comments, many of which tried to make these pancakes waistline-friendly with whole wheat flour and yogurt. Folks, these are pancakes. They are a weekend indulgence. This is why you eat oatmeal, Kashi and that painfully-dry-half-of-an-English-muffin during the week. It’s Sunday morning: use real ingredients, full fat, and enjoy these incredibly rich, light, pumpkin-y treats. Separating the eggs, whisking the whites to stiff peaks, and folding them into the batter counters the heavy, wet pumpkin giving you impossibly rich, airy cakes. For a true indulgence, whisk cardamom into cream and top off a tall stack, dripping in real maple syrup and butter. *Gingerbread spice is a mix of anise, nutmeg, cloves and cinnamon. If you can’t find it at your grocer, substitute with a teaspoon of all or some of the above. Mix dry ingredients and whisk lightly to combine. Mix wet ingredients, except egg whites, and whisk gently to combine. Gently whisk dry and wet ingredients together. It will be thick. Whisk egg whites to stiff, but not dry, peaks. Stir 1/4 egg whites into batter. This will lighten the batter before you fold in the rest of the egg whites. By lightening the batter, you will retain more volume when you fold in the remaining egg whites. Fold remaining egg whites into batter. Cook one small pancake over medium heat to check seasoning. Add additional salt and gingerbread spice if needed. 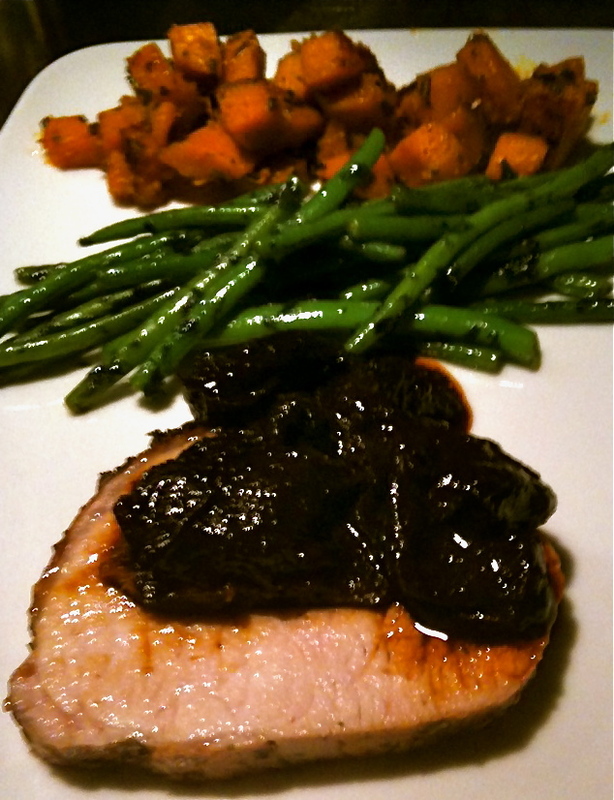 Serve with farm fresh butter and real maple syrup. I finished my time at Colby College in February of 1996. I had a job lined up starting that summer, but spent the spring living at home with my parents. I had Tuesdays off from work and thought that it would be nice to cook them dinner during this busy time of year at their garden center. Three weeks in, I had discovered my love of cooking and was spending 8 -10 hours each Tuesday reading recipes, shopping for ingredients I often couldn’t pronounce and had no idea where in the grocery store to begin looking for, and cooking. I also started working my way through Mom and Dad’s China cabinet. 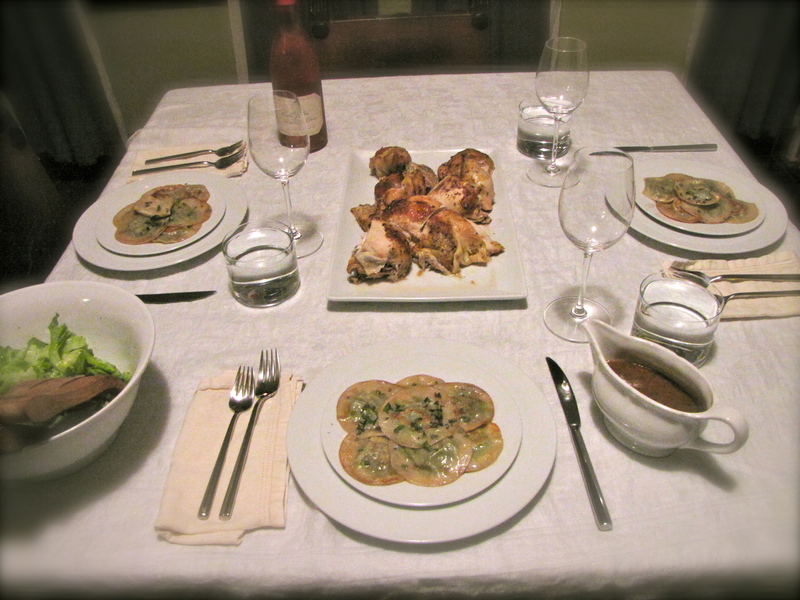 I seemed so logical that each meal deserved the perfect set of dishes and table linens to frame it. The China cabinets in many homes are like formal living rooms: reserved for special guests. Who else than the three of us, I thought, was more special? It’s a belief my family has espoused ever since. We take time to set the table, plan the menu, arrange flowers and break out the silver for simple family meals together. My husband Jason and I will use our wedding China and flatware on a Tuesday night. We use cloth napkins for every meal, even takeout eaten in front of the TV. The most special guests, it turns out, have been joining us for dinner all along. With all due respect to the many great chefs in DC, you can keep your Rammy’s and your James Beard Awards (but keep me in mind for the future). This past weekend, I earned top honors from a mom. She had stopped by my Eastern Market cooking demos with her young son for weeks, but this day was special. I was cooking Brussels Sprouts. Blanching them, actually. Then slicing them thinly and tossing them in a pancetta, mustard and sherry vinaigrette. So I am. I’m glowing with pride. And to prove that I have a heart, I’ll be serving him pumpkin pancakes next Saturday. He’s earned it. *1 pound of Brussels Sprouts is about 4 cups, I usually go for about a handfull per serving. • Blanch Brussels sprouts in salted boiling water until bright green but still crisp. Shock in ice water and dry. • Sauté pancetta over medium low heat to render fat, remove pancetta to paper towels to drain. • Deglaze pan with vinegar. • Add mustard and season to taste with pepper and salt as needed. • Toss brussels sprouts with dressing. • Serve with reserved pancetta. Everything is better with pancetta. Even chocolate. It’s super-salty, fatty, Italian, un-smoked bacon. Life is better when you always keep some in your fridge. Insanity begins innocently. In the kitchen, it is particularly insidious. Last weekend, for instance, Marvin Ogburn, owner of Long Meadow Farm, gave me a Hubbard squash. It’s smooth, grey-blue skin is alluring, and at roughly the size of a two year old, curled up for a nap, it demanded attention. I got my huge Hubbard home and headed for the kitchen to roast it. Forty whacks with a cleaver got through the thick shell and I carved it into four parts. Seeds scooped out, I rubbed the exposed insides with olive oil, seasoned it with salt and pepper, and baked it for two hours at 400. This is where the insanity begins. Once roasted, the entire squash produced just over 16 cups of beautiful, burnt-orange pumpkin. Now, a man – or woman – can only bake so many pies. I had already made soup earlier that week. What to do with lots and lots of extra pumpkin? What comes to mind first? Not pumpkin bread, cookies, or ravioli. No, quesadillas seemed to be the perfect solution. Rich, earthy, sweet pumpkin was balanced with sharp red onion, warmed with cumin, and given heat and smoke from chili powder and Spanish paprika. Spicy, rich, fatty Andouille and sharp, Amish cheddar cheese completed the experiment. • Brown sausage in a large sauté pan over med-high. Remove to paper towels. Reduce heat to medium-low. • Add 1 tbs olive oil to pan and sauté onion until soft, 3-5 min. • Add pumpkin. Season to taste with salt and pepper. Add cumin, chili powder and paprika to taste. You may want more than the suggested amounts. • Warm through, letting flavors develop. Some pumpkin will caramelize on the pan. Deglaze with stock. Season to taste with salt and pepper. • Layer tortilla, cheese, pumpkin, sausage, more cheese and top with a tortilla. • Heat 1 tbs oil in pan. Brown quesadilla on both sides. • Serve with salsa and cilantro.